Jada Demas and Jennifer Moscardini turned themselves into police on charges of three counts of cruelty to animals. Bail was set at $2,000. Two New Hampshire renters are under arrest after police said a severely neglected dog living in “deplorable conditions” was discovered at a property that they rented. The dog was also walking with limps in its front and back legs, police said. 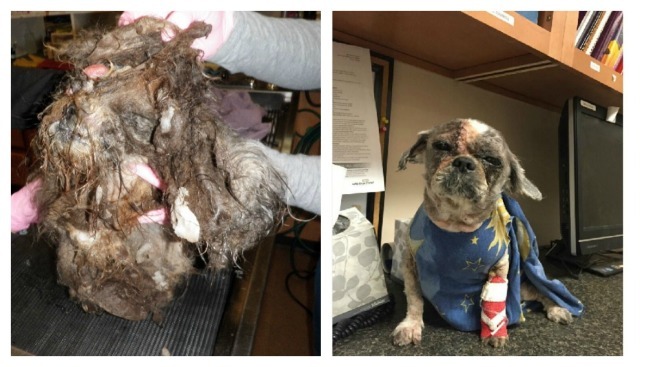 The animal was taken to Southern New Hampshire Veterinary Hospital for extensive injuries, including: severely matted fur, an ulcerated and infected skin mass on its forehead, blindness, deafness, dermatitis, anemia, displaced knee camps, fleas, infections in its ear canals and a lame hind leg. The dog continues to receive 24-hour care and medication at the facility. More information will be released if its condition improves and becomes available for adoption, police said. Jada Demas and Jennifer Moscardini turned themselves into police Thursday on charges of three counts of cruelty to animals. Bail was set at $2,000. Both are due back in Derry District Court Friday morning.